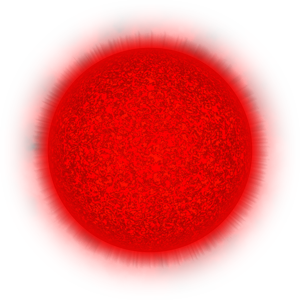 A Red giant is a late phase of a star that has exhausted its supply of Hydrogen. These stars are between ten and a hundred times larger than a Class G Star and result from the star beginning to fuse Hydrogen in a shell that forms around the core. This phase is short, lasting only a few million years. From this point, these stars will either Super Nova, or they will collapse into a White Dwarf depending on the mass of the star. The following is an excerpt from the Keth religious text known as the “Tablets of Honor”. “There is a phrase that will be said one day, long after I have departed. They will say that misery loves company. Those who are filled with sadness and despair will flock to others who have the same ailment of the soul. I have seen this happen with both the living and the dead. Those who have died alone and have failed to find what they sought, seek each other out. They cling to each other like desperate lovers seeking the attention and satisfaction they never received in their lives. As they bind themselves together, I watch as a small Red Dwarf grows into a Red Giant. They grow larger and larger until the star is many times larger than I had ever anticipated it would grow. And then, just as this vessel of souls reaches its capacity, this coalescence of sadness and despair ruptures and explodes.